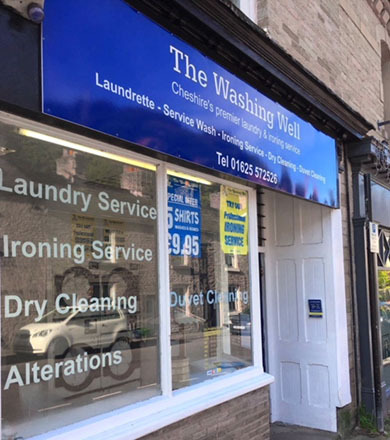 We are family run business based in Bollington, Cheshire that offers a wide range of laundry services. 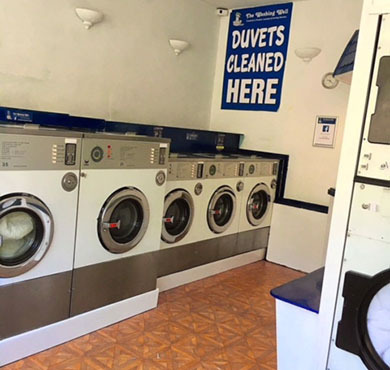 We provide a reliable, efficient, flexible and affordable service for all types of clothing. 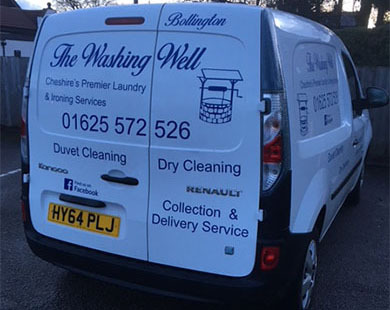 We take great pride in our work, providing professional, hand finished, quality cleaning. With many years experience, we have a wealth of knowledge to offer our clients and an exceptional service. We offer a collection and delivery service using an all electric super eco-friendly van. 84 Palmerston Street, Bollington, Cheshire, SK10 5PW. To see our location on a Google map, please visit the contact page. Copyright 2018 The Washing Well. All rights reserved.